The recently launched Professional Development Series provides opportunities for Safeware associates to learn skills that will help them grow both professionally and personally. We have designed this program completely upon associate input and feedback. 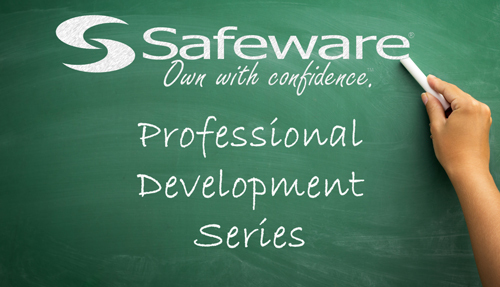 Safeware, a leading provider of product protection and warranty solutions based in Dublin, Ohio, has seen instant success with a new Professional Development Series introduced in February 2016. The program was initially created to elevate associates through access to education and training opportunities in the workplace. Already, the series has grown into a way for participants to share ideas and learn about programs and systems that they use in their daily work lives. Safeware engages internal team members to host courses in their fields of expertise along with other external subject matter experts to lead select courses. By focusing on a variety of software programs such as Microsoft Excel and Nitro PDF, as well as broader themes like industry best practices and finance, Safeware strives to invest in its associates and build foundational skills. “We have designed this program completely upon associate input and feedback. Team members are encouraged to react honestly and let company leadership know what they liked or disliked about each class, what they would like to see in the future, and how we can better support them in terms of professional development,” says Training and Quality Assurance Manager, Laurel Cipiti. The company anticipates that the program will soon encompass personal development courses, as well, including product-specific tutorials, basic Spanish for customer support, CPR training, and more. These interest-based classes will allow associates to develop new skills and network with peers who have similar learning desires. As Safeware completes its headquarters expansion, an additional training space with innovative technology will allow the Professional Development Series to continue evolving and to begin incorporating more hands-on education and training opportunities. By offering unique and customizable options and best-in-class customer support, Safeware has emerged as one of the Nation's leading providers of protection solutions for consumer products. To learn more about Safeware, please visit us online or contact us at 1-800-800-1492.